Skin epidermis. 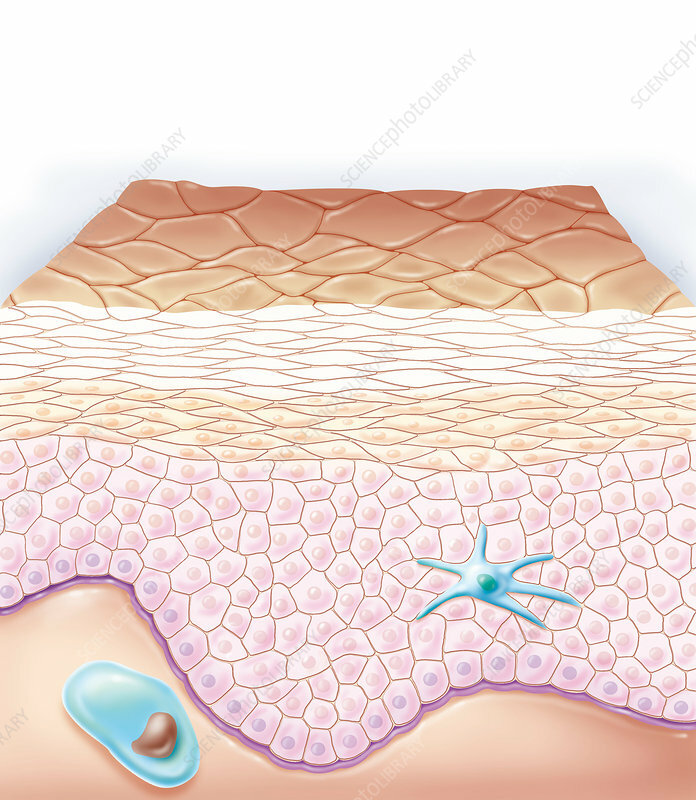 Artwork showing the structure of the upper layer of skin, the epidermis. This is a type known as stratified squamous epithelium, with living cells from a basement membrane (bottom) rising to replace cells that form the flattened layers at top. These flattened layers eventually die and form a keratinised outer layer called the stratum corneum. At lower right is a dendritic cell, part of the immune system.